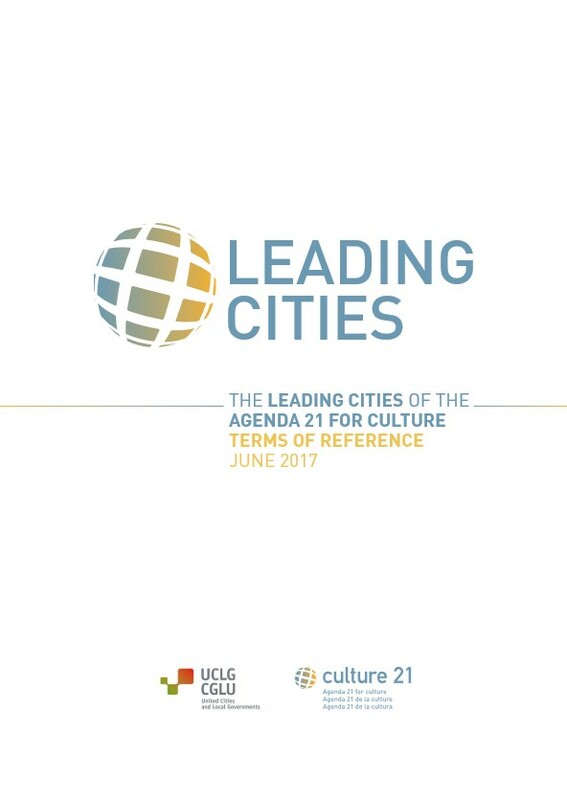 Cities have experience in Agenda 21 for culture, and therefore they become the leaders in the implementation of Culture 21 Actions and the advocacy activities of the Committee. Annually, the Leading Cities receive the support of the Secretariat of the Committee in the areas of Cooperation and Learning (technical assistance, capacity-building good practices) and Communication (website, social networks); and the Leading Cities are spokespersons for the Committee on culture of UCLG in international meetings and events. Barcelona is fully involved in the vice-presidency of the Culture Committee of UCLG, represented by Mr. Joan Subirats, Commissioner of Culture of the Barcelona City Council. Read the report that Greg Richards and Lénia Marqués elaborated for the City of Barcelona and the UCLG Committee on Culture on "Creating synergies between cultural policy and tourism for temporary and permanent citizens". Consult the article written by Joan Subirats, Commissioner of Culture of the Barcelona City Council, on city, culture and (cultural) policy. Read Barcelona's Leader City report on "Culture and Tourism". The document is also available in Catalan version. Good Practice of Agenda 21 for Culture: the Cultural Public Policies of Barcelona. Good Practice of Agenda 21 for Culture: the "Cultural Council of Barcelona". Good Practice of Agenda 21 for Culture: the "Barcelona Art Factories" project. The former vice-president of the Committee, Jaume Ciurana, is the author of a key message aiming to enlight the elaboration of the document updating the Agenda 21 for Culture: "Culture 21: Actions". Good Practice of Agenda 21 for Culture: the "Creators in Residence" project of Barcelona. The City of Barcelona hosted the 1st formal meeting of the Committee on Culture of UCLG in October 2006. The City of barcelona hosted the 8th formal meeting of the Committee on Culture of UCLG in September 2012. Read Bailbao's former deputy on culture declaration on culture and sustainaibility (2014). 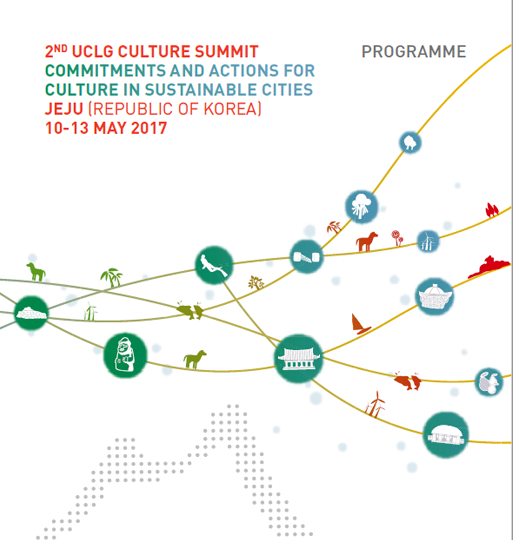 Bilbao hosted the 1st UCLG Culture Summit in Marche 2015. See Bilbao's good practice: "Culture as a social transformation and economic engine for Bilbao". The City of Bogotá is a vice-president of the Committee on culture of UCLG. Good Practice of Agenda 21 for Culture: the project "Inhabiting Community Culture" of Bogotá. The City of Bogotá hosted the 5th World Congress of UCLG - World Summit of Local and Regional Leaders, from 12-15 October 2016. Good Practice of Agenda 21 for Culture: the project "Ruptures, transitions, reinventions. Responsible graffiti practices" of Bogotá. 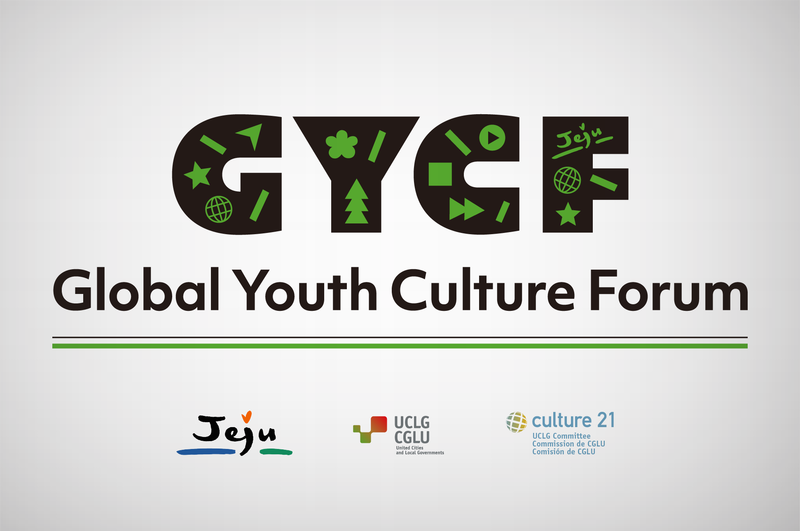 Good Practice of Agenda 21 for Culture: the project "Art, Culture and Sport: educational and social transformation factors" of Bogotá presented to the 1st edition of the International Award "UCLG - Mexico City - Culture 21". Good Practice of Agenda 21 for Culture: the project "Transformations and Cultural practices in priority Areas of Intervention (APIs) " of Bogotá. Bogotá: Analysis of the self-assessment of Culture 21: Actions. The City of Bogotá organized the World Summit on "Arts and Culture for Peace"in Abril 2015. Bogotá was part of the 2014 Pilot City programme aiming to document the elaboration of Culture 21: Actions, the update of Agenda 21 for Culture. Read its full report on Agenda 21 for Culture. The City of Buenos Aires is committed in the co-presidency of the Culture Committee of UCLG, represented by Mr. Enrique Avogadro, Minister of Culture of the Government of the City of Buenos Aires. Good Practice of Agenda 21 for Culture: the Public Cultural Policy of Buenos Aires. Good Practice of Agenda 21 for Culture: the Emilio Balcarce Tango Orchestra-school of Buenos Aires. Good Practice of Agenda 21 for Culture: the Remembrance Park of Buenos Aires. The City of Buenos Aires hosted the 11th meeting of the Culture Commission of UCLG (29 september-2 october 2014) during which "Culture 21: Actions" was debated. The City of Buenos Aires organized the 3rd International Meeting "Culture, Cities and Future" (7-9 October 2015). In the framework of the Informal Hearings of Habitat III in New York, Luciana Blasco subsecretary for culture of Buenos Aires gave a speech. 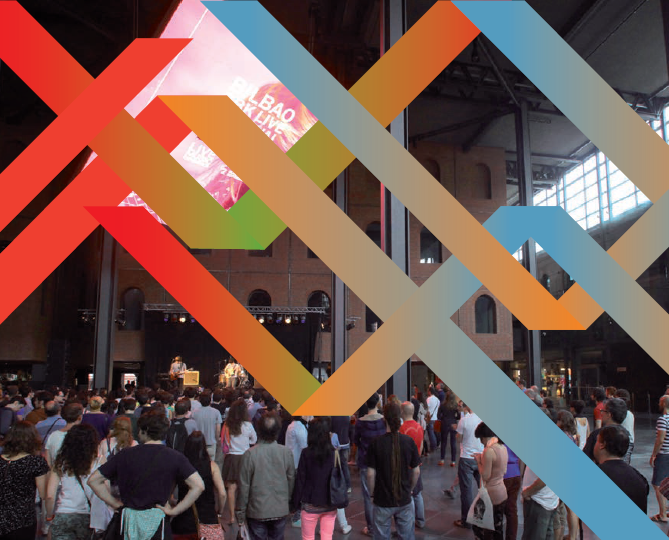 Lille Metropole is a Leading City of Agenda for culture in 2015-2017. Good Practice of Agenda 21 for Culture: the Cultural Public Policies of Lille Metropole. Good Practice of Agenda 21 for Culture:tf the "Bals à Fives" project. Read the key message of Catherine Cullen, former president of the Committee, this important message aims to enlight the elaboration of a new document updating the Agenda 21 for Culture: "Culture 21: Actions". Lille Metropole hosted the 2nd formal meeting of the Committee on culture of UCLG in September 2007. Lille Metropole also hosted the 10th official meeting of the Committee on culture of UCLG in September 2012. The City of Malmö is a Leading City of the Agenda 21 for culture. Read the Cultural Strategy 2014-2020 of the City of Malmö. Read the Action Plan for the Culture Strategy 2016-2018 of the City of Malmö. On 29 November 2016, the City of Malmö will organize a European "peer-learning" Seminar on culture in sustainable cities. From 30 November to 2 december 2016, the City of Malmö will organize a three-day Seminar on "Local implementation of the UN's sustainable goals". Good Practice of Agenda 21 for Culture: the project "The Soul of Malmö" presented to the 1st edition of the International Award "UCLG - Mexico City - Culture 21". Mexico City is fully involved with the co-presidency of the Culture Committee of UCLG, represented by Mr José Alfonso Suárez del Real, Secretary of Culture of the City of Mexico. 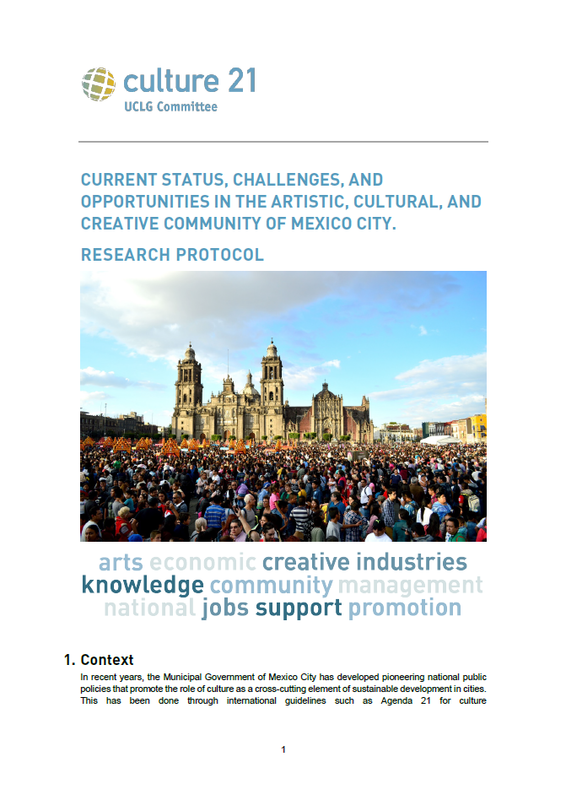 Read the new good practice of Mexico City called "Research protocol". 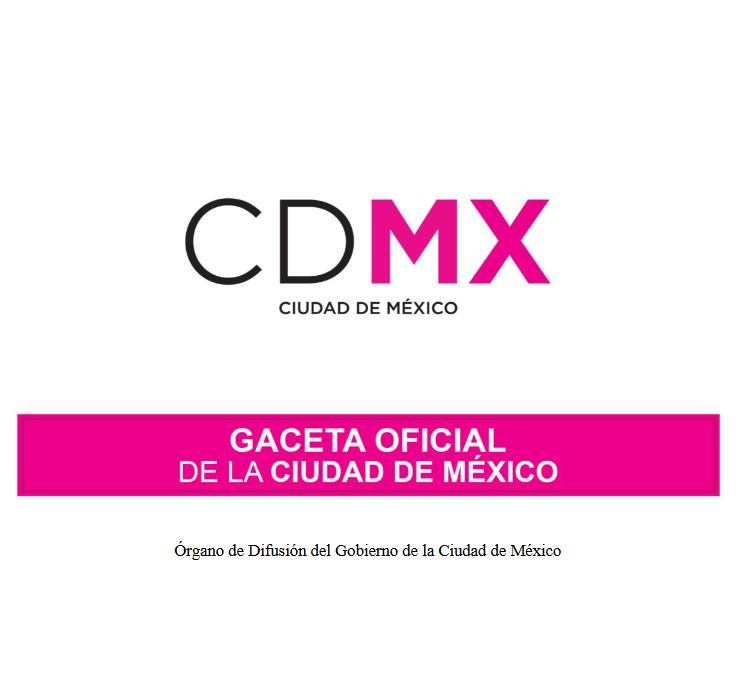 Read the management memorandum of the Secretariat for Culture of Mexico City. 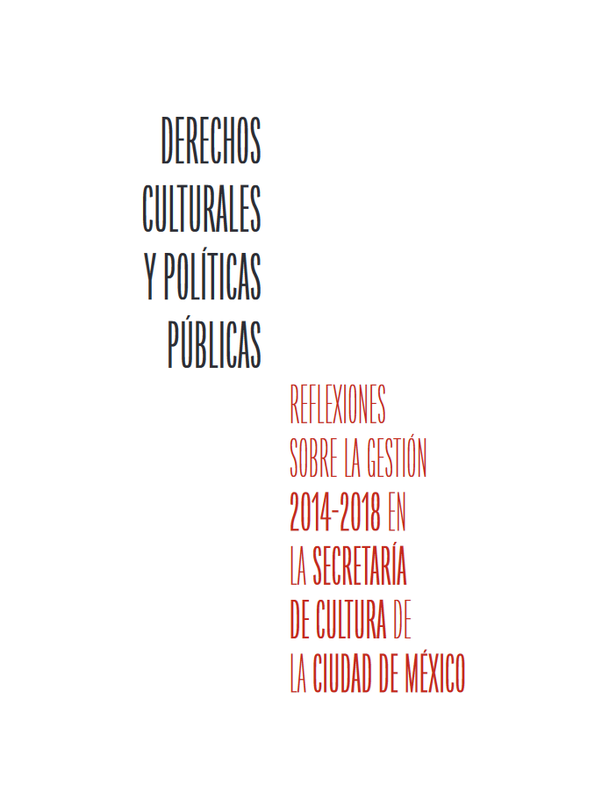 Read also CDMX's article on the formal presentation of this report, together with the 'Culture & Peace' Declaration during the International Seminar on Cultural Rights and Peace in the City (only in Spanish). 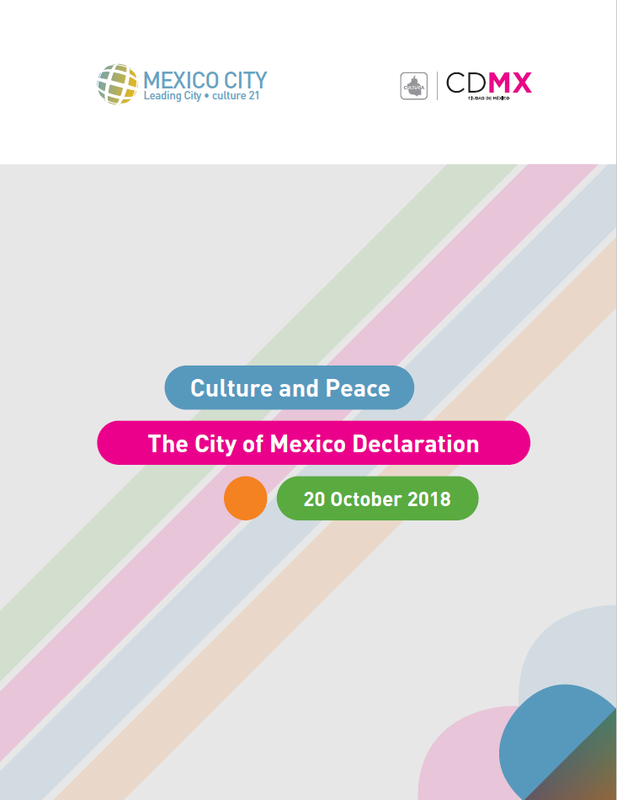 Read, join and spread the Mexico City Declaration, approved on 20 October 2018 by Mexico City and the UCLG Committee on Culture during the International Seminar on Cultural Rights and Peace in the City. 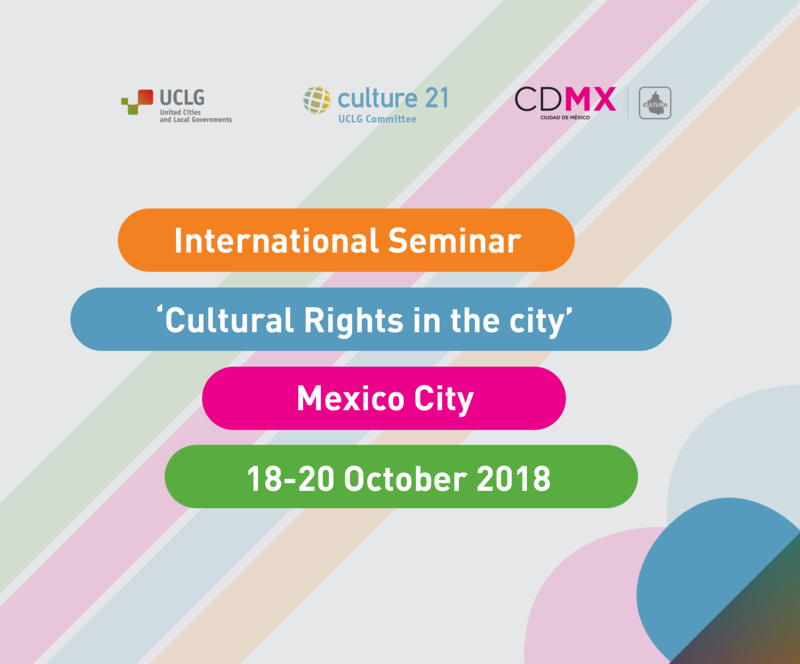 The International Seminar on Cultural Rights in the City was held in Mexico City on last 19-20 October 2018, together with the Award Ceremony and the 15th meeting of UCLG Committee on Culture. Read Mexico City's Law on Cultural Rights (only available in Spanish). Mexico City launched the third edition of the International Award 'UCLG - Mexico City - Culture 21' for 2017-2018. As a Leading City, Mexico City published a Public Report on "Governance of culture and sustainable development". 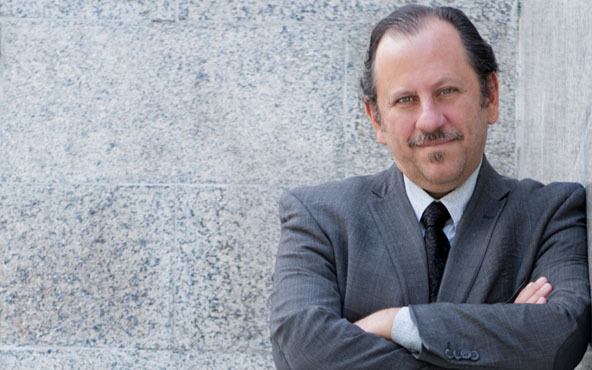 Read the interview of Eduardo Vázquez Martín, Secretary for Culture in Mexico City on Culture as the 4th Pillar of Sustainability (in Spanish). 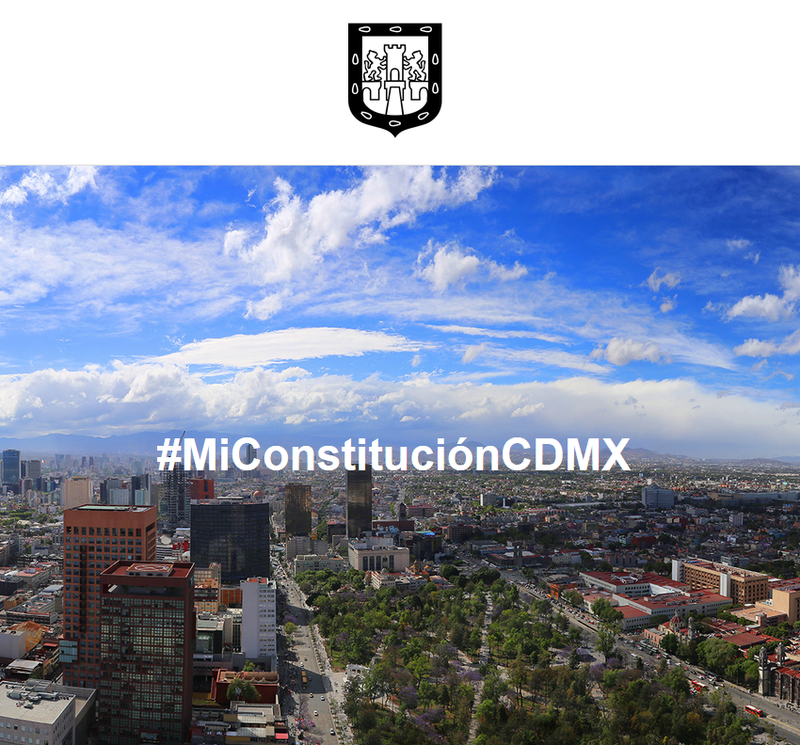 The new Constitution of Mexico City includes a chapter dedicated to Cultural Rights. 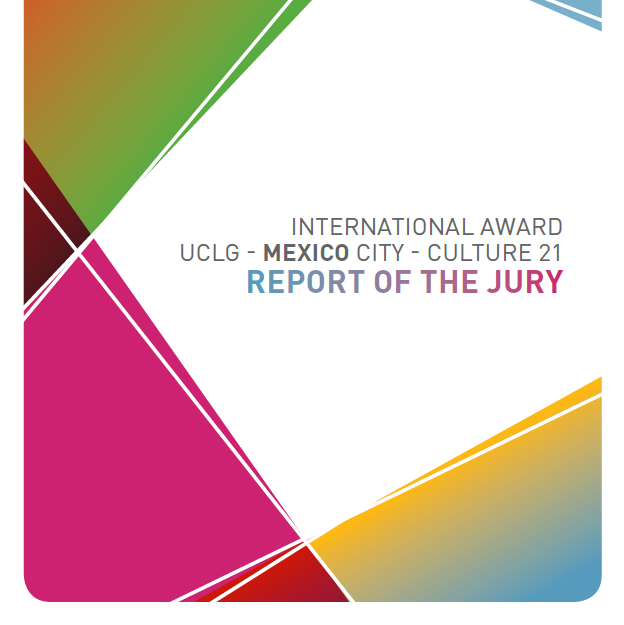 Mexico City launched the second edition of the International Award 'UCLG - Mexico City - Culture 21' in 2015-2016. 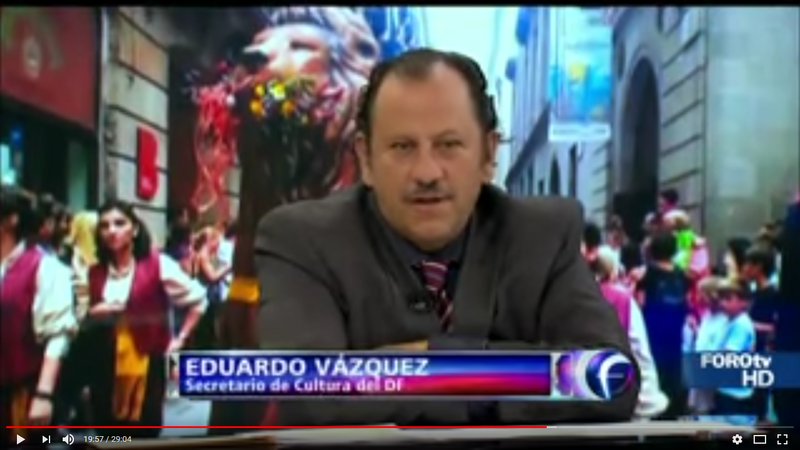 See the interview of the Secretary on Culture of Mexico City, Eduardo Vázquez Martín, on the International Award UCLG - Mexico City - Culture 21 and the importance of culture in sustainable cities and cultural aspects within the Global Agendas (only in Spanish). As a Leading City, Mexico City published a Public Report on "Intersectoriality and new gouvernance for culture and development". Good Practice of Agenda 21 for Culture: the Imagination in Motion: Cultural businesses and entreprises project of Mexico, presented in the framework of the 2014 Pilot City Programme. Good Practice of Agenda 21 for Culture: the "Arts and Jobs Factory - FAROS" project of Mexico. Good Practice of Agenda 21 for Culture: the Cultural Public Policies of Mexico. Mexico City, co-President of the Culture Comittee of UCLG hosted the first edition of the International Award "UCLG - Mexico City - Culture 21". Mexico City was also involved in the 2014 Pilot City programme, aiming to update the new Agenda 21 for Culture with "Culture 21: Actions". Read its full report on Culture 21: Actions. Mexico City hosted the 5th formal meeting of the Committee on Culture of UCLG in november 2010. 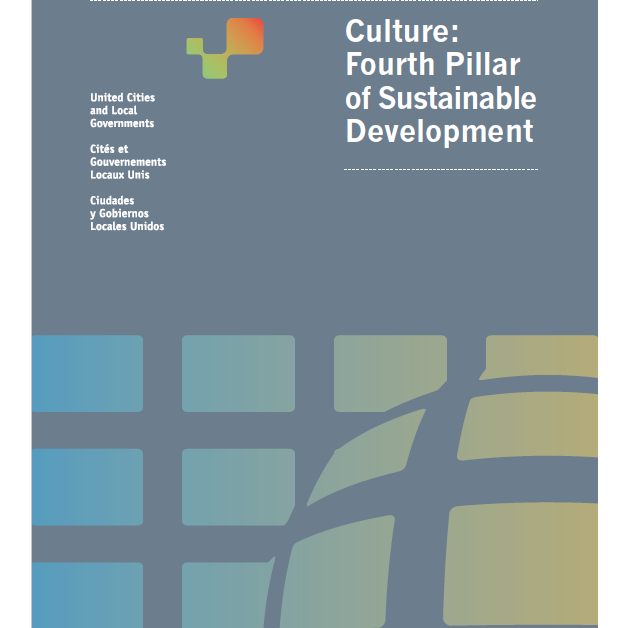 UCLG approved the declaration 'Culture: 4th Pillar of Sustainable Development' during its 3rd Congress which took place Mexico City (2010). The City of Milan is a Leading City of Agenda 21 for culture in 2015-2017. Good Practice of Agenda 21 for Culture: the "World City Forum" of Milan. Good Practice of Agenda 21 for Culture: the Cultural Public Policies of Milan. Good Practice of Agenda 21 for Culture: the "ExpoinCittà" project of Milan. The City of Talca is a Leading City of Agenda 21 for Culture in 2015-2017. As a Leading City of Agenda 21 for culture, Talca initiated the report "Review of Talca's Culture 21: Actions self-assessment". As a Leading City, the City of Talca also published a Public Report on Heritage, Diversity and Creativity in Talca. Good practice of Agenda 21 for culture:the project "The challenge of building stronger ties to Agenda 21 for culture"of Talca, presented in the framework of the 2014 Pilot City programme. The City of Talca was committed with the 2014 Pilot City programme on the implementation of Agenda 21 for culture and its update. Read its full report on Culture 21: Actions. The City of Talca publically released its Municipal Cultural Plan for 2013-2016 (available in Spanish only). 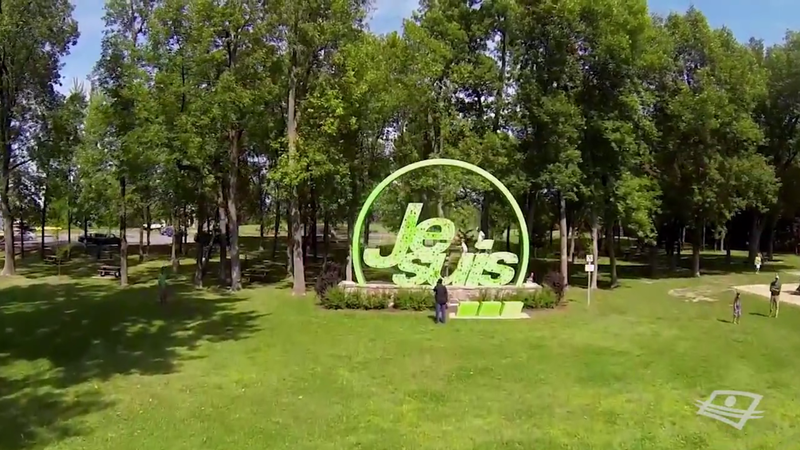 The City of Vaudreuil-Dorion is a Leading City of Agenda 21 for Culture in 2015-2017. Vaudreuil-Dorion: Analysis of the self-assessment of Culture 21: Actions. Good practice of Agenda 21 for culture: the project "JE SUIS (I AM).../ Reconstructing the community through cultural mediation" of Vaudreuil-Dorion, presented in the framework of the first edition ofthe International Award "UCLG - Mexico City - Culture 21". Good practice of Agenda 21 for culture: The project "Mosaic parade, a party as a tool for transforming the community" of Vaudreuil-Dorion, presented in the framework of the 2014 Pilot City programme. Vaudreuil-Dorion was part of the 2014 Pilot City programme aiming to document and contribute to the elaboration of Culture 21: Actions which is the document that updates Agenda 21 for Culture. Read its full report on Agenda 21 for Culture. Washington DC is a Leading City of the Agenda 21 for Culture. 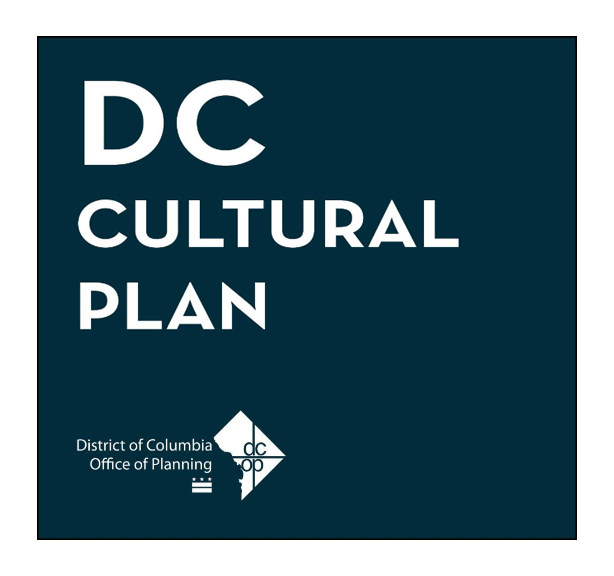 Check out the draft of Washington DC's first-ever Cultural Plan. 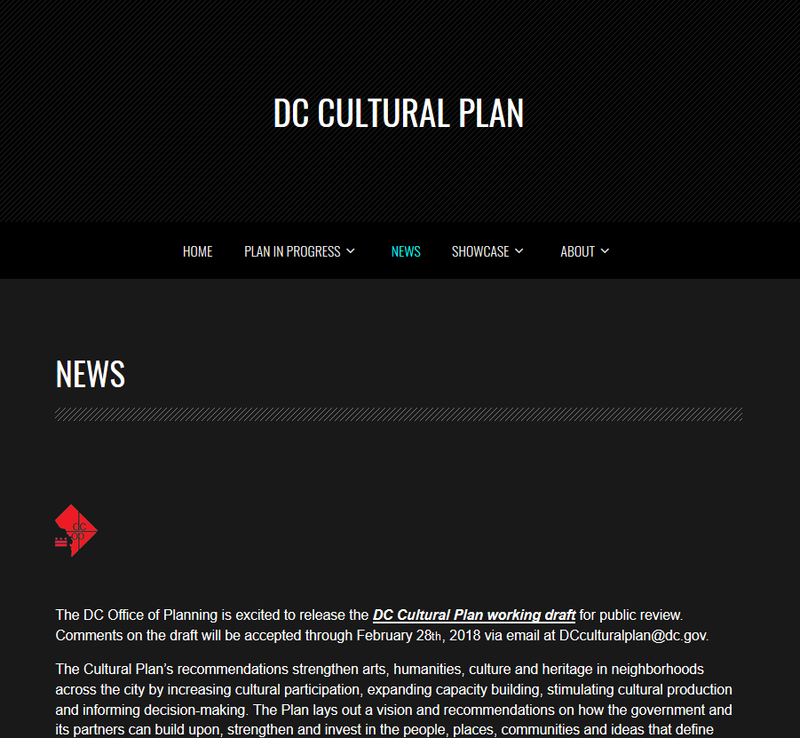 In the shaping of its first-ever Cultural Plan, Washington DC released a dedicated website with all the latest news and access to participate to the drafting of the Plan.